As a homegrown New Jersey resident, Kathryn takes pride in her community and aims to be an integral part of its success. While in law school, she was an active volunteer as a local Mediator, a student representative in the I Dare to Care mentoring program in Camden, New Jersey, and a tutor through the Rutgers University School of Law. In her profession, Kathryn has continued to serve her community as a Young Lawyer Trustee to the Burlington County Bar Association. Kathryn’s desire to assist her community is akin to her professional objective: to serve as a dedicated advocate for her clients. At an early age, Kathryn was exposed to nursing through her mother, a geriatric nurse and healthcare administrator. It was this initial exposure that ignited her interest in the healthcare profession. Before joining Parker McCay, Kathryn clerked for The Honorable James Den Uyl, J.S.C., who worked as a New Jersey medical malpractice attorney prior to joining the bench. 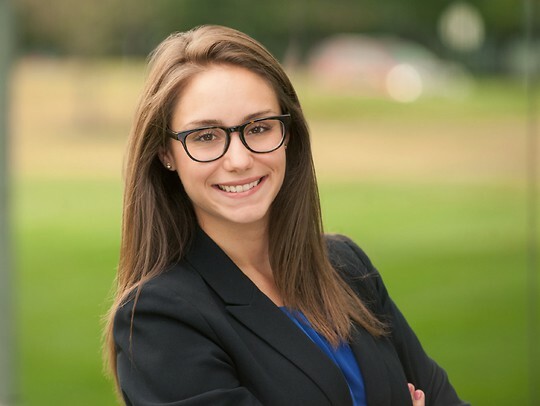 Presently, Kathryn concentrates on medical malpractice and general litigation. In this capacity, she represents local hospitals, healthcare facilities, physicians, and other licensed medical personnel in the trial and appellate courts, as well as before the administrative law courts. Fueled by her devotion to health and well-being, Kathryn became an avid runner in law school. She has since completed four marathons and three half-marathons and continues to enjoy this pastime. March 28, 2019 | 5:45 p.m. - 7:00 p.m.
"How to Stack Your Life"
March 8, 2018 | 5:00 p.m.